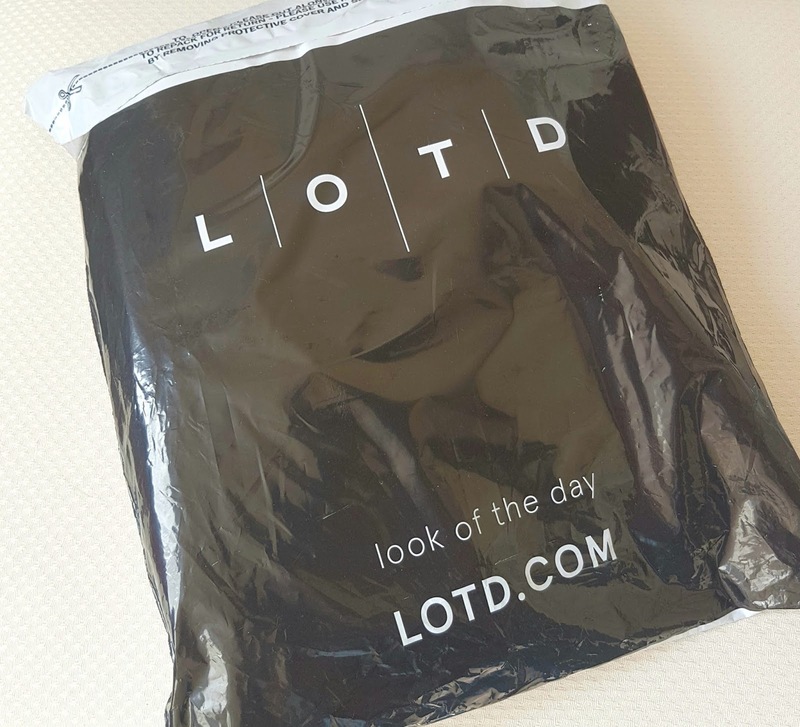 I have seen the Brand LOTD (Look of the day) on Instagram a lot lately and I thought I must give them a go. Their clothes are really reasonably priced and when I saw that everything was 60% off I grabbed the opportunity. I have been struggling to find decent 'basics' recently. The types of tops you can throw on during the weekend and feel 'put together' even though you haven't really tried that hard. So I saw the T-shirt above and I thought it would be perfect combined with denim shorts. I managed to get three items for around £16 with delivery so I was very happy with myself. 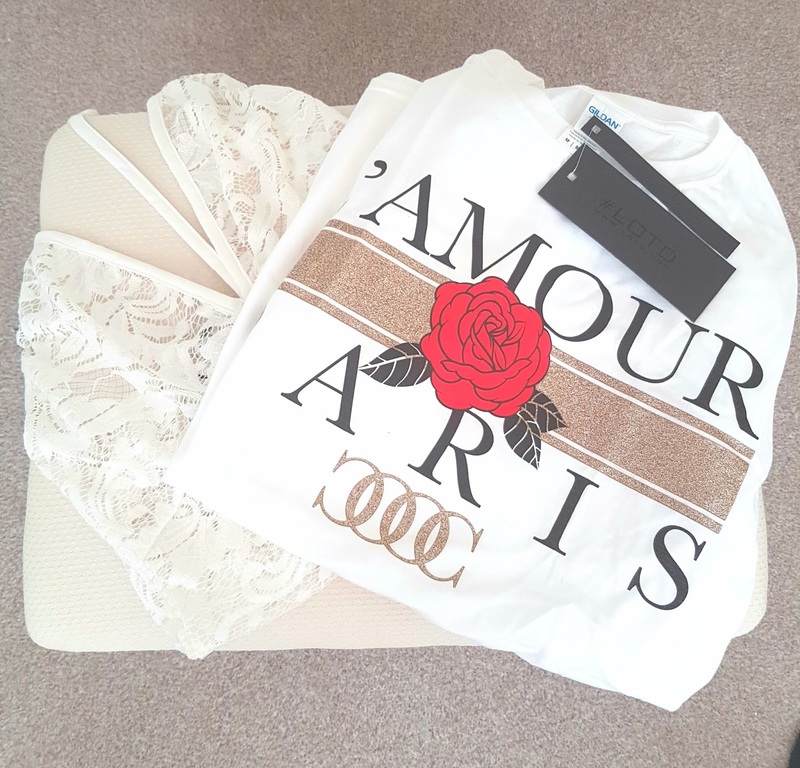 I chose the Slogan tee with a rose and gold detail. A simple white bardot bodysuit, I am in love with bodysuits at the moment. So easy to style and they seem to keep wobbly bits in place nicely. I needed a white one to go with a couple of pairs of summer trousers. I am also jumping on the lace bodysuit vibe, so I opted for a cream lace number with halter neck detail. The delivery came quickly and packaged well. I was very pleased with quality of the T shirt for the price I paid. The medium is a little larger than expected but I am embracing that. I hate being squeezed into clothing! The bardot didn't disappoint either, comfortable and versatile. Lastly the lace bodysuit is gorgeous, really good quality, I will need to wear something over or under it as I would be flashing to the world if I didn't. The reason I bought it was to wear under a plunge jumpsuit anyway so no problem there. All in all a very happy customer! If any of you would like to check them out click here. 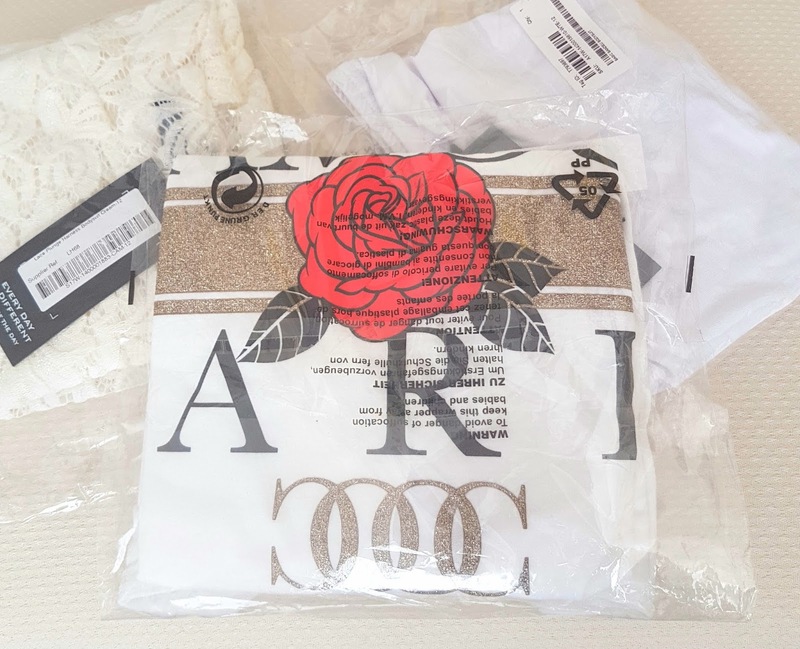 What other online brands do you guys recommend?